Sometimes, when art is very, very good, art bleeds into real life and makes real life manifestly better. This is one of the highest callings of art. Errol Morris’s staggering The Thin Blue Line was groundbreaking when it was first released in 1988. It seems a little less groundbreaking today. The techniques to which we have all grown accustomed—now used in myriad true crime shows on basic cable—were not always the tiresome tropes they have become. 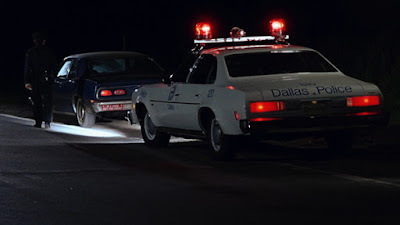 In fact, at a recent student screening of The Thin Blue Line, precise and probing interviews, multiple re-enactments, b-roll footage that forces the audience to pause and ponder, a dramatic score, and careful storytelling were not enough to hold the young audience’s interest. What the Pope is saying here is that he was forced to knock heads together. The one theme that resonated with students was the manifest unfairness and awfulness of the police officers depicted in the film. At one point, a suspect tells of being interrogated for twelve hours, during which time a police officer put a gun to his head and ordered him to sign a confession. The camera then cuts to an interview with the police officer; he says, “We had a nice conversation.” Students who are accustomed to being hassled by local law enforcement all sadly shook their heads in recognition. The Plot in Brief: Randall Adams moves to Dallas from Ohio. One day his car runs out of gas, and he accepts a ride from David Harris. Adams does not realize that Harris is an underage runway, driving a stolen car and carrying stolen weapons. The two spend the day together, drinking, smoking grass, and attending a drive-in movie. Harris drops Adams off at his apartment at the end of the night. Later that night, Dallas police officer Robert Wood is shot during a routine traffic stop. 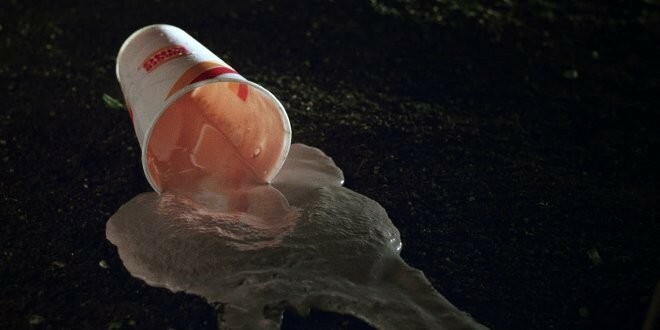 The police claim that Adams shot him. Adams claims that he is innocent. Harris claims that he witnessed the shooting and appears as the prosecution’s star witness. Which of several conflicting storylines is true? Who really shot Officer Wood? The film’s title comes from the prosecuting attorney’s final summation, where he paraphrased a poem by Rudyard Kipling and suggested that the police are “the thin blue line” separating citizens from anarchy. During the portion of the film detailing the trial, we wonder if the police are, in reality, a line of protection—or if, acting by their own rules for their own motives, they only serve to further an anarchy of their own choosing. 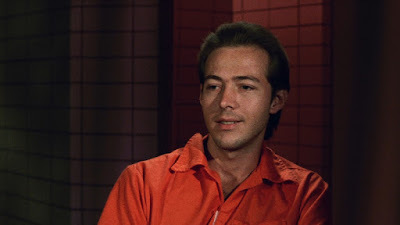 Filmmaker Morris demonstrates that at least six witnesses perjured themselves in order to secure a conviction; it is strongly suggested that the only reason Dallas police charged Adams at all was that they could not guarantee a death sentence by charging Harris, who was then a minor-- a “thin blue line,” indeed. Documentary fans were astounded in 1988 when The Thin Blue Line was not nominated for an Oscar. 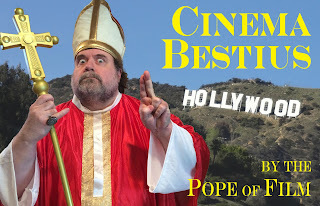 Back in that dark time, the Academy of Motion Picture Arts and Sciences had a strange and byzantine nominating process that assured that only documentaries about the Holocaust would win the award. The Thin Blue Line was not even considered for a nomination because it was marketed as a “nonfiction” film, not a documentary. Another thin blue line! In 1994, controversy again surrounded the AMPAS process when neither Hoop Dreams nor Crumb garnered a nomination. Apparently, only Academy members attending special screenings of all eligible nominees were allowed to vote. To help these perceptive and altruistic individuals save time, the Academy conveniently supplied them with flashlights. Once the screening of an eligible film was underway, if enough voting members shone their flashlights on the screen, the screening came to an abrupt halt and the next screening began. The Pope was not invited to these special screenings (for which I have forgiven my transgressors) but rumor has it that the nominating screening of Hoop Dreams lasted less than twenty minutes. Of course, since those dark days, the Academy has completely revamped its rules and procedures for nominating documentaries. The new nominating process involves secret caves and magic wands. Fortunately, this part of the story has a happy ending. Fifteen years after The Thin Blue Line, Morris finally won a much-deserved Best Documentary Oscar for another film: his astounding The Fog of War, in which former Secretary of Defense Robert McNamara basically admits on camera that Vietnam was a big mistake. Philip Glass’s score for The Thin Blue Line, rhythmic and incantatory, is terrific in that it invites a mood of inquiry and skepticism, helps anchor the timeline of the reenactments, and lends the film the tone of a fictional narrative. Much like Morris’s editing rhythms and use of b-roll footage, the score invites the audience to focus about the topic at hand. It simultaneously draws us in and sets us apart from the narrative, encouraging us to regard the all we see and hear with deep skepticism and healthy cynicism. Errol Morris’s documentary work has always gone this way. In films as outwardly different as Vernon, Florida; Gates of Heaven (Roger Ebert’s favorite film); Fast, Cheap, and Out of Control; The Fog of War; Standard Operating Procedure; and Tabloid, Morris spins a cinematic web that is both compelling and frustrating, inviting audience members to ferret out the elusive truths at the heart of these films. 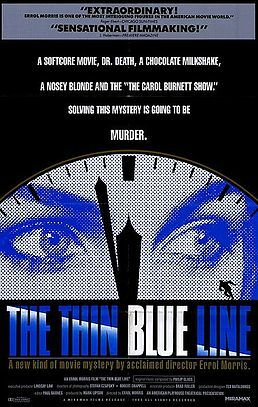 MASSIVE SPOILERS FOR THE THIN BLUE LINE: The film successfully argues that Adams was innocent and that Harris committed the murder. Filmmaker Morris actually captured Harris confessing on audiotape. The film was responsible for Adams’s release from death row after twelve years of wrongful incarceration. I can think of no higher calling in art than to actually return a man to freedom. Hemingway once observed that all true stories end in death. The Thin Blue Line is a true story. 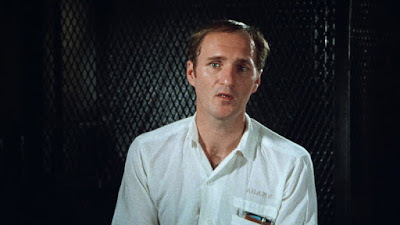 In 2004, David Harris was executed for an unrelated 1985 murder. Upon his release from prison, Randall Adams sued Errol Morris for the rights to his life story, which Adams had needed to sign away so that the film could be made. Adams won; he and Morris never spoke again. Adams died of brain cancer in 2010, but was so out of the public spotlight by that time, his death was not widely reported until June of 2011. The Thin Blue Line is a work of exacting reportage. It is not surprising to note that, before he became a documentary filmmaker, Errol Morris was a private detective. Here he digs into the case of his life—a case where even a discarded Burger King milkshake cup becomes an important clue. If you liked last December’s Making a Murderer on Netflix, you need to see the film that serves as progenitor for all modern true crime documentaries. It staggers me that Hoop Dreams - one of the greatest documentaries ever made - couldn't even get nominated by the Academy. The Thin Blue Line is a brilliant piece of work. Another Morris documentary I'd like to mention is Mr. Death, about a very strange man named Harold Leuchter who unexpectedly found himself the darling of the Neo-Nazi movement.